The Case Management Society of America (CMSA) and TCS Healthcare Technologies (TCS) have recently announced a partnership to bring a care management software application, called ACUITY AnyWare, to case managers as a membership benefit of CMSA. This new application, called ACUITY AnyWare, will support individual case managers and small groups through a web-enabled app without having install expensive software or have technical support maintain it. ACUITY AnyWare allows independents and small groups to transition from paper…to easily run reports. ACUITY AnyWare is the first software that has the Case Management Adherence Guidelines (CMAGs) as an integrated tool. CMSA members can license ACUITY AnyWare for less than $200 per month. For more information about ACUITY AnyWare, please contact John Sekerak ([email protected]) at (530) 886-1700 ext. 211 or Robert Pruss ([email protected]) at (501) 673-1142. Case Management Society of America (www.cmsa.org) is an international non- profit 501(c)(6) multi-disciplinary professional association established in 1990. CMSA is dedicated to the support and advancement of the case management profession through educational forums, networking opportunities, legislative advocacy, and establishing standards to advance the profession. The association is based in Little Rock, AR and serves more than 20,000 members/subscribers and 70 affiliate and pending chapters. Since its inception, CMSA has been at the forefront of setting professional standards for the industry, which allows for the highest level of efficiency and integrity, as well as developing national and local leaders who are recognized for their practice and professional excellence. For more information on CMSA, call CMSA at (501) 225-2229 or go to www.cmsa.org . TCS Healthcare Technologies (www.tcshealthcare.com) is a leading provider of software and clinical solutions that improve medical management (UM/CM/DM) performance and effectiveness for health plans, insurers, providers, third party administrators, medical management companies, and other health care organizations, who serve both the private and public sectors. For more information about TCS, call (530) 886-1700 ext. 211 or go to www.tcshealthcare.com . Hala Moddelmog, president and CEO of Susan G. Komen for the Cure, the global leader in the fight to end breast cancer forever, has been recognized for her leadership in business at the 16th annual Trumpet Awards event in Atlanta with a ‘High Heels in High Places’ award. The Trumpet Awards Foundation, Inc. recognizes the contributions and accomplishments of black women and men, including the part they play in ensuring the continued vitality of the nation’s economy. Special recognition is given to ‘the few who symbolize the many who have overcome the ills of racism and poverty to achieve special greatness.’ The Trumpet Awards Foundation, Inc.’s ‘High Heels in High Places’ award salutes women in leadership positions in both the corporate and non-profit worlds. 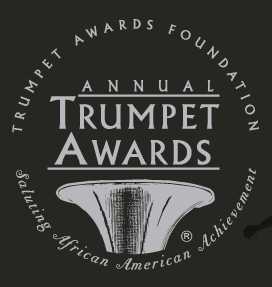 The award made its debut at the 2007 Trumpet Awards gala held in Las Vegas. Moddelmog, a former Fortune 500 executive, became Komen’s CEO in the fall of 2006. In her first year at Komen, she leveraged unique opportunities presented by Komen’s 25th anniversary, its accompanying name change and brand transformation, effectively re-igniting the organization’s promise to save lives and end breast cancer forever while solidifying its position as the global leader in the breast cancer movement. Prior to coming to Komen, Moddelmog served as founder and CEO of Catalytic Ventures, a consulting firm that worked with private equity investments in the food service industry. She was the first woman in corporate America to lead an international quick service restaurant brand when in 1995 she was named president of Church’s Chicken, a division of Atlanta-based AFC Enterprises. Church’s subsequently realized record sales and profit performance. Moddelmog also held management and marketing positions at Church’s Chicken, Arby’s Franchise Association and BellSouth. Moddelmog has led Komen in building new alliances with leading cancer organizations in order to reduce duplicated efforts and maximize resources. She has assembled a group of breast cancer thought leaders chaired by distinguished Dana-Farber clinician and Harvard educator, Dr. Eric P. Winer, to form Komen’s new Scientific Advisory Board. Komen has implemented new grants mechanisms to speed the delivery of discoveries and breast cancer cures. In 2007, Moddelmog saw the organization make the largest grants investment in its 25-year history, more than $77 million. In addition, she encouraged Komen leadership to make public its pledge to invest no less than $2 billion in the coming decade on research and community outreach programs. Moddelmog inaugurated Komen’s global expansion into 10 foreign countries, including several in the Middle East. In the fall of 2007, she led a delegation of breast cancer advocates from the United States to an historic meeting held in Budapest, Hungary with breast cancer advocates from 30 other countries. Under Moddelmog’s leadership, Komen last year embarked on its 25-city Komen Community Challenge, an educational tour designed to help select U.S. communities close existing gaps in breast cancer and breast health services for the medically uninsured and underserved. The organization published the first-ever State of Breast Cancer report, which has helped people appreciate the advances that have been made in diagnosing and treating breast cancer while understanding the extent of healthcare disparities that keep the latest treatments as well as basic health care out of the reach of millions. In recognition of the tremendous toll breast cancer takes on African Americans in the United States, Circle of Promise, a campaign to engage African Americans with Komen in the fight against breast cancer was launched last fall. Nancy G. Brinker promised her dying sister, Susan G. Komen, she would do everything in her power to end breast cancer forever. In 1982, that promise became Susan G. Komen for the Cure and launched the global breast cancer movement. Today, Komen for the Cure is the world’s largest grassroots network of breast cancer survivors and activists fighting to save lives, empower people, ensure quality care for all and energize science to find the cures. Thanks to events like the Komen Race for the Cure(R), we have invested nearly $1 billion to fulfill our promise, becoming the largest source of nonprofit funds dedicated to the fight against breast cancer in the world. For more information about Susan G. Komen for the Cure, breast health or breast cancer, visit http://www.komen.org/ or call 1-877 GO KOMEN. MED3OOO Group, Inc., a privately held national healthcare management and technology company, recently entered into an agreement to implement and deploy InteGreat EHR, a true browser-based electronic health record (EHR) application, within the Family HealthCare Network (FHCN) community-based clinics throughout Tulare and Kings Counties in California. The installation of InteGreat EHR is designed to improve patient care within the 11 ambulatory clinics with intuitive workflows and clinical decision support, while minimizing bandwidth requirements and improving FHCN’s long-term operations. Family HealthCare Network serves the healthcare needs of the community within Tulare and Kings Counties of California. Since 1976, they have been dedicated to providing access to care for local farm workers and others who may encounter barriers to healthcare because of financial or transportation issues. The clinic will leverage the InteGreat EHR platform for their 90+ providers to document clinical findings to enhance patient care and improve productivity while securely sharing information from disparate lab and hospital systems. The InteGreat EHR browser-based application costs less for network infrastructure and produces higher levels of satisfaction among clinical staff because it offers a reliable connection without the need for a dedicated line. This technology will save the community health center several thousand dollars in IT costs per year. “We believe the healthcare management and technology experts at MED3OOO will not only be able to help us successfully implement the InteGreat EHR, but also help us grow our network and proactively manage our patient outcomes,” said Harry Foster, Chief Executive Officer of Family HealthCare Network. Family HealthCare Network (FHCN) is a private, non-profit community-based organization established in 1976 to provide access to care for those in the community who would encounter barriers to healthcare. The organization is governed by a volunteer Board of Directors and has developed a comprehensive primary healthcare delivery system with 11 clinical sites located throughout Tulare and Kings Counties in California’s Central Valley. Family HealthCare Network was the first freestanding ambulatory healthcare center in Tulare County to be accredited by the Joint Commission on Accreditation of Healthcare Organizations. FHCN is licensed by the State of California as a community clinic and is designated as a Federally Qualified Health Center (FQHC). Family HealthCare Network is one of the largest employers in Tulare County with over 700 employees as well as the largest Primary Care Provider. For more information about Family HealthCare Network, visit http://www.FHCN.org. The U.S. Food and Drug Administration (FDA) has granted LEVAQUIN(R) (levofloxacin) an additional six months of marketing exclusivity, known as “pediatric exclusivity.” The action attaches to the U.S. patent covering LEVAQUIN, extending exclusivity from December 2010 to June 2011. This decision was based on five, company-sponsored pediatric studies conducted at the request of the FDA. The studies included trials to determine the pharmacokinetic profile and the efficacy and safety of LEVAQUIN in children with community-acquired pneumonia (CAP) and recurrent and/or persistent acute otitis media. The studies were conducted in close collaboration with leaders in the pediatric and infectious disease communities and in consultation with the FDA. LEVAQUIN is not indicated for use in children and adolescents (under 18 years of age). Since its U.S. introduction in 1996, LEVAQUIN has gained widespread use in the treatment of adults for a variety of bacterial infections caused by specific pathogens(1), including: acute bacterial sinusitis, acute bacterial exacerbation of chronic bronchitis, nosocomial pneumonia, community-acquired pneumonia, complicated and uncomplicated skin and skin structure infections (mild to moderate), chronic bacterial prostatitis, complicated and uncomplicated urinary tract infections (mild to moderate) and acute pyelonephritis (mild to moderate). LEVAQUIN is available in 250 mg, 500 mg and 750 mg doses in both oral and I.V. formulations. The safety profile of LEVAQUIN is similar across doses. LEVAQUIN is marketed to healthcare providers by Ortho-McNeil, Inc., and PriCara, Unit of Ortho-McNeil, Inc.
At a time when there are growing concerns about a national epidemic of obesity among teenagers, a new study focusing on morbidly obese teens who have last-resort bariatric surgery has found that the procedure poses no greater risks for them than for adult patients, and that, in fact, they have a zero death rate and a faster rate of recovery than older patients. Gastric bypass, stapling or similar procedures known as bariatric surgery is an approach to weight management for morbidly obese patients, which has documented results in improved health outcomes for adults. Now researchers at the Robert Wood Johnson Medical School and Cincinnati Children’s Hospital Medical Center have used data from a large national database to examine nationwide trends from 1996 to 2003 in the use of adolescent bariatric surgery in the first effort to compare the early postoperative results following bariatric surgery in adolescents and adults. The study, published in the March issue of Archives of Pediatrics & Adolescent Medicine, shows that surgery among teens has tripled in recent years, increasing in the U.S. from an estimate of just over 200 procedures in 2000 to almost 800 procedures in 2003. The new study also compared the costs of surgery for adults and teens, finding that adolescents had lower hospital charges. Total hospital charges in 2003 for adolescents undergoing bariatric surgery were $23.6 million and for adults was $3.8 billion. The average hospital charges associated with these procedures were 15 percent lower for adolescents than for adults. Similar to adults, most adolescents had private insurance. Although bariatric surgery among adolescents has increased, it is by no means a common procedure, representing fewer than one percent of the bariatric procedures performed nationwide. The study found that although the majority of surgery recipients are female, more male adolescents are requesting it. Access Pharmaceuticals, Inc. (BULLETIN BOARD: ACCP) and Somanta Pharmaceuticals, Inc. (BULLETIN BOARD: SMPM) have signed a letter of intent for Access to acquire Somanta. Somanta is an Irvine, California based biotechnology company with four novel anti-cancer compounds in development, one of which is currently in Phase 2 clinical trials. Each of Somanta’s drug candidates acts by a unique mechanism of action, and has the potential to target a wide range of different cancer types. In addition to its significant product pipeline, Somanta brings an experienced team of clinical development and regulatory professionals who have an established track record of guiding compounds through the FDA and EMEA approval processes. Upon consummation of the acquisition, Somanta’s preferred and common shareholders will receive an aggregate of 1.5 million shares of Access common shares which would represent approximately 13% of the combined company assuming the conversion of Access’ existing convertible debt under existing terms of conversion. The letter of intent is non-binding. The acquisition is expected to close in the second quarter. Somanta Pharmaceuticals is a company focused on the development of novel oncology compounds and anti-cancer agents. Somanta’s lead clinical product Sodium Phenylbutyrate (PB) is currently in Phase 2 development. In National Institute of Health sponsored trials, PB has demonstrated the greatest activity in CNS cancers, several of which are “orphan” indications such as Glioblastoma Multiforme. Moreover, promising data has also emerged which suggests PB may be an effective therapy for certain blood cancers and other solid tumors. PB has been well tolerated; its safety profile has generally been established due to its many years of clinical use in pediatrics for inherited urea cycle disorders. Somanta’s other drug candidates include Alchemix, Prodrax and Angiolix. Alchemix is pan-target inhibitor that is effective in tumor cells resistant to conventional chemotherapy by targeting and irreversibly binding to DNA. Prodrax, a technology platform, is a novel family of prodrugs that enables compounds to remain inert until they reach the hypoxic region of tumors where they become toxic, thus targeting tumor cells which are typically difficult to kill. Somanta believes Alchemix and Prodrax have the ability to overcome many different pathways of drug resistance, and will be studied in a broad range of cancers including lung, colon, ovarian and renal. Proof-of-principle pre- clinical studies have been completed in both of these compounds, and Phase 1 dose escalation trials are being planned. Additionally, Somanta is developing a humanized monoclonal antibody, Angiolix, which appears to induce cell death selectively to tumor blood vessels using a different mode of action than VEGF- oriented therapies. Somanta has prepared clinical development plans for all preclinical projects. For additional information on Somanta Pharmaceuticals, please visit http://www.somanta.com/ . Access Pharmaceuticals, Inc. is an emerging biopharmaceutical company that develops and commercializes propriety products for the treatment and supportive care of cancer patients. Access’ products include ProLindac(TM), currently in Phase II clinical testing of patients with ovarian cancer and MuGard(TM) for the management of patients with mucositis. The Company also has other advanced drug delivery technologies including Cobalamin(TM)-mediated targeted delivery and oral drug delivery. For additional information on Access Pharmaceuticals, please visit our website at http://www.accesspharma.com/ . Access’ lead compound, ProLindac(TM), is a novel DACH platinum prodrug which has been shown to be active in a wide variety of solid tumors in both preclinical models and in human trials. The Company believes that ProLindac’s unique molecular design potentially could eliminate some of the toxic neurological side effects seen in currently marketed DACH platinums. The Company is currently enrolling patients in two Phase II clinical trials, one in ovarian cancer and one in head and neck cancer, and plans to initiate one or more additional Phase II trials, including one in colorectal cancer in 2007. Access has received 510(k) clearance from the FDA to market MuGard(TM) in the United States. MuGard(TM) is Access’ proprietary oral rinse product for the management of oral mucositis, the debilitating side-effect which afflicts more than 40% of cancer patients undergoing radiation and chemotherapy. There is currently no well-accepted treatment for mucositis. Access is actively seeking marketing partners in Europe and the US. The Company is actively pursuing development of its novel Cobalamin(TM) drug delivery technology, particularly as it pertains to the oral delivery of large molecule drugs that are only currently deliverable by injection or subcutaneous administration. Pre-clinical animal studies utilizing Access’ Cobalamin(TM) technology have demonstrated the ability to deliver insulin by oral administration in therapeutic levels. The conclusion of the acquisition of Somanta by Access as anticipated in the Letter of Intent is subject to a number of conditions, including, without limitation negotiation of a definitive acquisition agreement which will contain standard and customary provisions, completion of due diligence to the full satisfaction of each party, approval by the respective Boards of Directors and by Somanta shareholders, completion of all government filings and receipt of all necessary government approvals and all required third party consents. Allied Healthcare International Inc. (Nasdaq: AHCI; AIM: AHI), a leading provider of flexible healthcare staffing services in the United Kingdom, has announced the financial results of its fiscal 2006 fourth quarter and year-end. For the fiscal year ended September 30, 2006, the Company generated revenues of $294.6 million, compared with $351.2 million reported in 2005. The $56.6 million decline was mainly due to a reduction in NHS business, which was again driven by a decrease in expenditures and the NHS’s downward price pressure on the cost of agency nurses. Revenues were also impacted by the unfavorable effect of changes in foreign exchange of $8.0 million. Net income for the year, before impairment charges, totaled $7.7 million, or $0.17 per diluted share, compared with net income, before charges, of $20.2 million, or $0.45 per diluted share for the comparable period last year. With the addition of impairment charges, which reduced 2006 results by $131.4 million, or $2.92 per diluted share, the Company reported a net loss of $123.8 million, or $2.75 per diluted share, compared with earnings after charges in 2005 of $18.7 million, or $0.41 per diluted share. The Companyâ€™s 2006 fourth quarter and year-end results were negatively impacted by a total of $131.4 million of impairment charges, net of taxes, resulting from charges for goodwill and long-lived assets of $120.1 million and $11.3 million, respectively, which were determined after the company completed its annual impairment testing in the fourth quarter. The long-lived asset impairment charge represents $4.3 million for cylinders, redundant plant and software related to the transfer of the Companyâ€™s historical oxygen distribution business, $6.3 million associated with the decision to discontinue the implementation of the Oracle front-office operating system, and $0.7 million related to impairment of other intangibles. Gross profit margins for the year, as adjusted, remained strong and increased to 30.4%, compared with 29.5% reported in 2005. The increase in gross margin resulted from the Companyâ€™s continued emphasis on its higher-margin, Social Services business, and a decreased emphasis on its lower-margin, NHS business. The Company’s reported gross profit mix for the year, as adjusted, is as follows: 65% Social Services, 16% Nursing homes, 14% NHS, and 5% Oxygen. For the fourth quarter ended September 30, 2006, the Company generated revenue of $74.5 million, compared with $84.3 million reported for the comparable quarter last year. Net income for the quarter, before impairment charges, reached $0.3 million, or $0.01 per diluted share, compared with net income before charges of $5.7 million, or $0.13 per diluted share for the comparable period in 2005. Net loss in the fourth quarter, after impairment charges, was $131.1 million, or $2.92 per diluted share, compared with net income after charges of $4.2 million, or $0.09 per diluted share for the fourth quarter of 2005. Gross profit margins for the fourth quarter, as adjusted, remained strong at 29.8%, absorbing the full impact of the lower respiratory margins, compared to 30.9% reported for the comparable quarter last year. The strong gross margin resulted from the Companyâ€™s continued emphasis on its higher-margin, Social Services business, and a decreased emphasis on its lower-margin, NHS business. The Companyâ€™s reported gross profit mix for the fourth quarter, as adjusted, is as follows: 69% Social Services, 15% Nursing Homes, 11% NHS, and 5% Oxygen. The Company reported selling, general and administration (SG&A) costs for the year of $75.6 million, compared with $74.0 million last year. The increase was a result of significant investments in its Allied Respiratory division where patient numbers more than doubled from that which was originally anticipated, and the Company is now servicing over 12,500 individuals. As a result, the Company had a disproportionate increase in SG&A expenses of $3.6 million, and anticipates costs relative to the oxygen business to significantly decrease going forward. Additional costs were also related to increased levels of IT depreciation and maintenance costs of $2.7 million, and stock based compensation costs of $0.7 million. These costs were partially offset by savings in the Companyâ€™s flexible staffing division of $3.6 million, and the effects of foreign exchange. The Company reported selling, general and administration (SG&A) costs for the fourth quarter of $20.7 million, compared with $20.4 million last year. Similarly, the increase was a result of costs associated with the investment in the respiratory business, and an increased level of IT depreciation and maintenance costs associated with the implementation of the Oracle accounting and payroll systems. The Company will maintain its emphasis on growing the Social Services business and is poised to continue to deliver services at home. Allied Healthcare invites all those interested in hearing management’s discussion of the results to join the call by dialing 877-407-9205 for domestic participants and 201-689-8054 for international participants at 10:00 AM EST on Thursday, December 14, 2006. A replay will be available for one week following the call by dialing 877-660-6853 for domestic participants and 201-612-7415 for international participants, and entering account number 286 and conference ID number 223788 when prompted. Participants may also access a live Webcast of the conference call through the “Investors” section of Allied Healthcare’s Website, www.alliedhealthcare.com. The presentation will be available and archived for 90 days. In addition to disclosing results of operations that are determined in accordance with generally accepted accounting principles (”GAAP”), this press release also discloses non-GAAP results of operations that exclude or include certain charges. These non-GAAP measures adjust for charges that are unusual. Management believes that the presentation of these non-GAAP measures provides useful information to investors regarding the Company’s results of operations, as these non-GAAP measures allow investors to better evaluate ongoing business performance. Management also uses these non-GAAP measures internally to assess the performance of its business and to establish operational goals. Investors should consider non-GAAP measures in addition to, and not as a substitute for, financial measures prepared in accordance with GAAP. Allied Healthcare International Inc. (http://www.alliedhealthcare.com) is a leading provider of flexible healthcare staffing services in the United Kingdom. Allied operates a community-based network of approximately 100 branches with the capacity to provide carers (known as home health aides in the U.S.), nurses, and specialized medical personnel to locations covering approximately 90% of the U.K. population. Allied meets the needs of Private Patients, Community Care, Nursing Homes and Hospitals. The Company also supplies medical-grade oxygen in the form of cylinders and concentrators to patients in the U.K. Nationally recognized healthcare reimbursement experts, Tracy Knowles, Esq., Senior Vice President for AHC, and Maria Persons, Corporate Director of Patient Financial Services for Tucson Medical Center, recently provided education to the Texas Chapter of American Association of Health Care Administrative Management. Their seminar, Managing Usual and Customary Denials, discussed the manner in which healthcare providers can develop a payer specific approach to resolve reimbursement reduction issues. The educational conference was attended by over 60 individuals from hospitals and health systems, specialized healthcare providers, and sponsoring organizations. Workshop attendees received education on the various tactics employed by payers, state statutes, federal regulations, case law, correct guidelines utilized in determining “reasonableness” of charges for each payer type, and appropriateness of patient involvement in each payer situation. Having completed over 160 seminars this year, AHC maintains their commitment to the healthcare community by providing complimentary, on-site healthcare reimbursement education. Interested parties who wish to schedule a complimentary workshop for their hospital business office staff may contact AHC at (888) 511-7901 or visit www.ahcinc.com. AHC Healthcare Receivables Management (www.ahcinc.com) provides technology enabled accounts receivables management solutions and complimentary education offerings for the healthcare community. Employing over 500 healthcare reimbursement professionals, approximately 100 of which are attorneys, AHC utilizes federal and state regulations, established case law, and client specific protocols to provide guaranteed results to our 760 clients nationwide. AHC has offices in Virginia, New York, Florida, Illinois, and California. American Community Mutual Insurance Company has introduced two new consumer-choice health insurance plans for employer groups, families and individuals in Illinois, Iowa, Missouri and Nebraska. The new plans are designed to make health insurance more affordable, especially for small employer groups that may not be able to afford traditional coverage, the self-employed, and those not in employee-sponsored group plans, such as young adults who may no longer be eligible under a parent’s coverage. The Next Generation HSA and Triple Tier PPO are low-cost PPO (preferred provider) health plans that take a creative approach to risk- and cost-sharing to reduce premiums, while assuring financial protection against catastrophic hospital and medical costs. The plans were introduced earlier this year in Michigan, Indiana and Ohio. Both plans include an industry-leading assortment of self-directed care management tools to help insureds stay healthy, make more informed use of health services, and receive access to health experts 24-hours a day. The Next Generation HSA is a qualified high-deductible health insurance plan with unique features. These types of plans typically allow the insured to pay deductibles and co-payments from a tax-free Health Savings Account, but American Community adds three innovations, according to Gerald Meach, President and CEO. First, it offers multiple payment-sharing options to help people select coverage to best fit their needs. Second, the family plan offers the option of a separate, lower deductible for individuals, letting them begin benefits earlier. Third, the deductible is waived for the first 30 days of care after an accident. “This best-in-class benefit saves members from being hit hard with unexpected expenses,” said Meach. The Triple Tier PPO plan offers lower premiums by providing different benefit levels based on type of care. “The plan provides higher benefits for hospitalizations, emergency care and injuries, the most serious and costly treatments, with lesser benefits for outpatient, non-emergency care where the policyholder can take the time to evaluate, with our assistance, alternatives that can be more cost effective,” he explained. Both the Next Generation HSA and Triple Tier PPO allow choice of doctors and healthcare providers, with highest benefits for insureds who use preferred providers recognized by American Community. The company’s new plans offer a TelaDoc physician phone line, 24-hour nurse line, treatment cost calculator, web-based medical library, personal health & symptom evaluation tool, prescription drug pricing and research info, hospital cost comparisons, and health helper tips. American Community is licensed in 38 states and has embarked on an aggressive program of geographic growth and coverage innovations to help keep health care affordable, according to Meach. The company plans to launch two new consumer-choice products in early 2007. With beginnings dating back to 1938, American Community is one of the nation’s oldest health insurance companies. Today it markets coverage in Michigan, Ohio, Indiana, Illinois, Missouri, Iowa, Nebraska and Arizona through more than 6,000 independent insurance agents. For more information about these new products, visit www.american-community.com. EFT involves fingertip tapping on select acupressure points while focusing on the physical symptom or unresolved emotion in question. EFT claims an 80% success rate in calming symptoms associated with serious diseases like cancer. It can be learned without cost by downloading the free EFT Manual here. To witness Jonas’s on-camera EFT session, the combined set of DVD’s, which contains 40 hours of instruction and demonstrations, costs only $72 at https://www.emofree.com/Store/store.aspx. More than a decade of reports from thousands of EFT users has convinced Craig of the connection between people’s unresolved emotions and their physical issues. Now an increasing number of medical studies are making the same connections, but EFT claims to offer a simple solution to resolving the emotional component of disease. EFT is still a new procedure, but already over 350,000 — including thousands of health care practitioners have downloaded Craig’s free training manual and another 10,000 download it each month. EFT often works when nothing else will, even on serious diseases like cancer. Word of mouth is making EFT a top self-healing modality. The EFT website is the fifth most actively visited natural health site in the world. The EFT Manual gives anyone all the basics so they can apply it right away. It can be freely downloaded here.